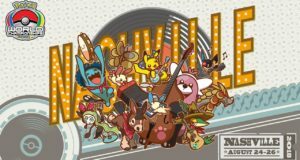 PokéAus’s senior correspondent Lewis Stevens has filed another report from his latest Cup experience playing the slightly off the wall Passimian/Tapu Koko/Tapu Lele deck that recently saw some results in Memphis! Hello everyone, Lewis here. Last weekend (editor’s note: was actually earlier in the month, we’re a bit late getting this article out!) I participated in the Next Level Games Ormond League Cup, which I travelled across from Tasmania for. When the season started, I had not been expecting to have to travel for League Cups based on my experience from last season, but unfortunately I found out rather late that Tasmania would not get any Cups this season. This threw my plans for a top 4 ranking and the associated travel award for Oceania into chaos. As a result my family decided we would travel over to Victoria to keep the champion points for my Worlds invite ticking over (and hoping their may have been another last-minute cup we could travel to). I ended up deciding on playing Passimian, Tapu Koko. This list came out of Memphis Regionals where it was played by a few high profile players. The deck idea came from Peter Kica. 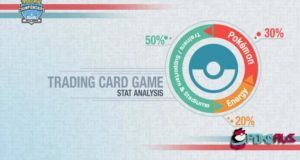 The decked appealed to me as I have always been trying different spread decks; it had single prize attackers similar to Buzzwole/Garbodor/Shrine and was backed by some good results in Memphis. During my testing the deck performed extremely well against decks I expected the other seniors to play. I thought the deck might also have a surprise factor with some of the other senior players not knowing how to play the matchup. The main strategy of the deck is to spread as many damage counters as you can with Tapu Koko, then once you have enough counters on the board use Tapu Lele to KO multiple targets at once. Passimian is only used in a few matchups or to take our late game GX’s and not to be used to play aggressively. You want to fall behind initially to make use of Counter Catcher and Counter Energy. The deck ran well throughout the day. Being a small tournament meant juniors and seniors ended up mixed together, so we only played three rounds without a top cut. I’d never played Xavier before, so I did not know what he would likely be playing or how he would play it. As a result I was completely blind going into the game. To start I thought that I would try and spread a few times then use Passimian to take knockouts of Metagross and Solgaleo. However as the game went on my opponent was unable to get set up, so I was able to use Flying Flip the entire game. In the final turn, I used Tapu Lele to move all the damage to 3 GX’s, taking all six prizes in one turn. That game went for around 40 minutes, meaning we had no time at all to finish the second game. I believe my deck choice proved useful here, the surprise factor meaning my opponent had no experience on how to play against the deck, leading to my first win for the day. Because of the low attendance, I was paired against one of the winning Juniors; Noah was my round 1 opponent Xavier’s younger brother. Again I had no information on my opponent’s play style or likely deck choices. Game 1 despite going first he was not able to bench any Pokémon, and I was able to donk him on my first turn. Game 2 went for a few more turns, but ultimately ended up the same way; I was able to quickly knock out his Pokémon and earn my second victory. Whoever won this game would win the Seniors division of the tournament; if we tied it would come down to resistance. When I discovered what Damian was playing I got excited; in testing the matchup had been very favourable, so in my mind that Champion playmat was as good as mine. Game 1 started according to plan; on my first turn I got all my Tapu Kokos benched and ready to start placing spread damage. Unfortunately for the next 4 turns, I could not draw into any energy cards and fell behind on the prize trade. In hindsight I should have scooped this game when I was unable to get the early spread damage, however I still felt I could win despite being behind. Turns out I was wrong, but it resulted in a long first game which didn’t leave me with enough time left to recover. My second game went much more to plan, however when time was called I was one turn short to win the game. Despite that loss, I secured second place scoring 40 out of a possible 50 championship points. With no Cups currently planned for Tasmania, those points could be vital. Looking at the new set Lost Thunder, I’m looking forward to some of the new decks and concepts that will come out of it. I think the new Ditto Prism Star will be an incredible card to splash into stage 1 decks. I believe Zoroark decks will gain a useful tool in Elm’s Lecture. Elm’s Lecture almost fills the gap that Brigette left when it rotated out of the Standard format; being able to search for 60HP Pokémon means it should be at least a two-of in Zoroark variants and other decks relying on 60HP Pokémon (which is pretty much any evolution deck). Finally, I think Spell Tag coming into the format means Malamar variants have a new card to play with – it’s already a strong toolbox deck and more tools only increases the options it has to deal with other decks in the meta.